Thank you so much for visiting and hope you’re off to a great start of the week! You are too good!! Love your blazer!! Look Gorgeous!! In love with Banana Republic new arrivals! I especially like the jeans and tote. love the jacket in that first look!!! Seriously amazing. Casual and polished for sure! Perfectly paired! Love both looks, and I need that blazer! How did you lace your superga’s? It looks like you maybe cut the shoe laces? I’d love to get a little tutorial. 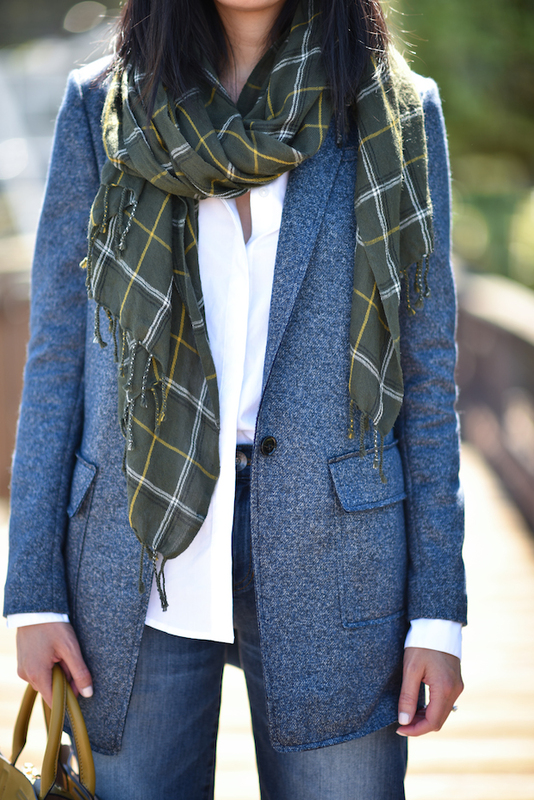 I’m in love with the textured blazer with the plaid scarf. I’m looking forward to cooler weather to enjoy the new Fall fashions. Thank you for sharing these looks. I LOVE that casual chic outfit so much! You are always so beautiful Ahn. So casual and polished!! Love the scarf so much!! Love this look, very classy and elegant! I love how you threw that orange blazer/raincoat over the army green! Such a fun preppy color. And the scarf is gorgeous also! Cute look! You look very ready for fall! Smart and Cozy! Love it! 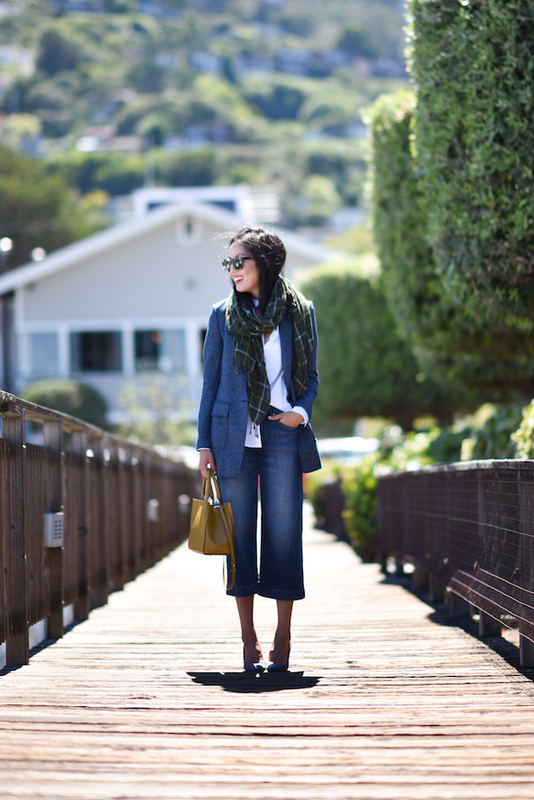 I absolutely love how you have put together a casual work outfit and a weekend look into one post! You loo beautiful in both and I am dying for that trench. Perfect fall looks!